Millions of people live in cities where going solar would cost them less than their current utility rates -- and most of them don’t even know it. According to a new report by the North Carolina Clean Energy Technology Center, backed by the SunShot Initiative, a fully financed solar PV system costs less than the energy purchased from a residential customer’s local utility in 42 of the 50 largest cities in the United States. Among single-family homeowners in those 50 cities, the Center estimates that 9.1 million live in a place where solar would be cheaper than their utility bill if they bought the system outright. Nearly 21 million would be better off going solar if low-cost financing is available. 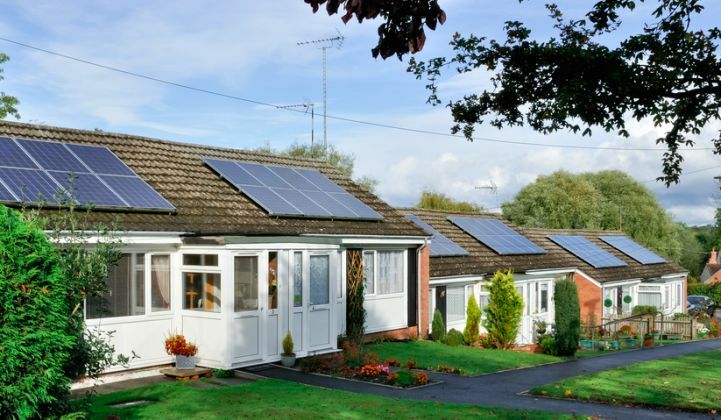 Many customers mistakenly think going solar requires having a lot of sunshine. The report points out that solar's value to the customer is more about how much grid energy it can offset. The Center designed a ranking system for investing in solar in 50 cities using pricing data from the online solar quote service EnergySage. The analysis took into account three metrics: first-year average monthly bill savings, the value of investing in solar relative to a long-term investment indexed to the S&P 500 stock index, and the levelized cost of energy from a rooftop solar array. 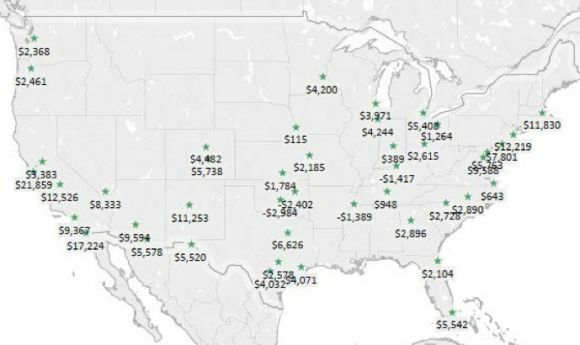 It’s no surprise that places with high electricity rates -- New York, Boston and several cities in California -- claimed some of the top spots on the list. But the study found that solar is also competitive in Kansas City, Atlanta, Charlotte, Milwaukee, Wichita, Columbus and other smaller markets. Electricity prices aren’t likely to get any lower, either. EIA forecasts that utility rates will rise between 33 percent and 83 percent over the next 25 years -- the typical lifetime of a solar PV system. 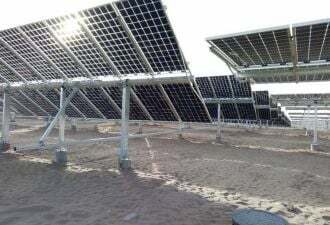 Meanwhile, there’s been a rapid decline in the hardware costs for solar energy, which has made the technology much more accessible in all parts of the country. According to Lawrence Berkeley National Laboratory, the median cost of a residential solar project fell from $12 per watt in 1998 to $4.70 per watt in 2013. EnergySage reports that the average cost of a 5-kilowatt rooftop system in the third quarter of 2014, before incentives, was as low s $3.70 per watt. In the third quarter of 2014, GTM Research found an even greater cost drop for turnkey residential systems of 5 kilowatts to 10 kilowatts, with an average of $3.60 per watt. Policies such as the federal Investment Tax Credit, state renewable portfolio standards, net metering and value-of-solar tariffs have helped to encourage more people to invest in solar, which in return has further reduced costs. Accounting for all of these factors (electricity prices, solar costs, relevant policies, etc. 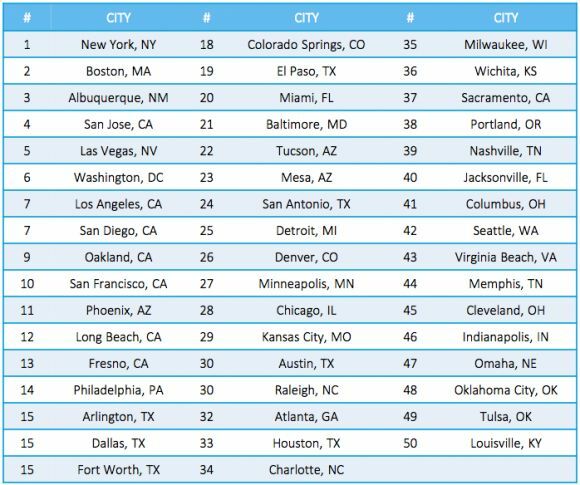 ), the report finds that customers in the most of the 50 largest cities would benefit from going solar. Some places will see significant savings upfront. In Kansas City, for instance, residential solar customers can expect to save $57 per month in the first year of ownership. California residents can see even greater savings of up to $187 per month in that first year. 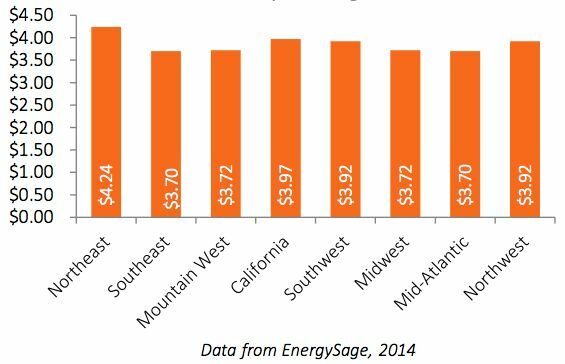 Costs per watt are higher in California than in the Midwest, however. That means a California customer would pay $19,840 for a 5-kilowatt solar project, while a customer in Kansas City would pay $18,600. In the Northeast, where installation costs are highest ($4.24 per watt), customers would pay $21,000 on average for a 5-kilowatt system. In many cities, the inflation-adjusted levelized cost of energy for solar is competitive with grid energy. The study calculates that 20.7 million single-family homeowners in America’s biggest cities live in a place where financing brings solar to cost parity. In New York, San Diego and Boston, customers could pay 7 cents less than grid energy. It's worth noting that the study assumes a 100 percent financed purchase at 5 percent interest over 25 years. Terms vary, but most loans are shorter, at ten to twelve years. For solar to reach more consumers and compete without incentives going forward, the study calls for further action to reduce non-hardware costs, or soft costs, which account for up to 64 percent of total system costs. Costs associated with customer acquisition, installation labor, financing, and permitting and inspection are especially high.